Panopticon was founded in 1980 as "Journal of criminal law, Criminology and forensic social work". The many treated disciplines, point out the core objective of the magazine right away . For the first time a forum was created in which information about the administration of criminal law, Criminology and forensic social work, is systematically and expertedly addressed. The magazine for Belgian Competition provides an exclusive and specialized forum for competition sensu lato. In TBM-RCB come to bid all aspects of competition, both legal and economic. 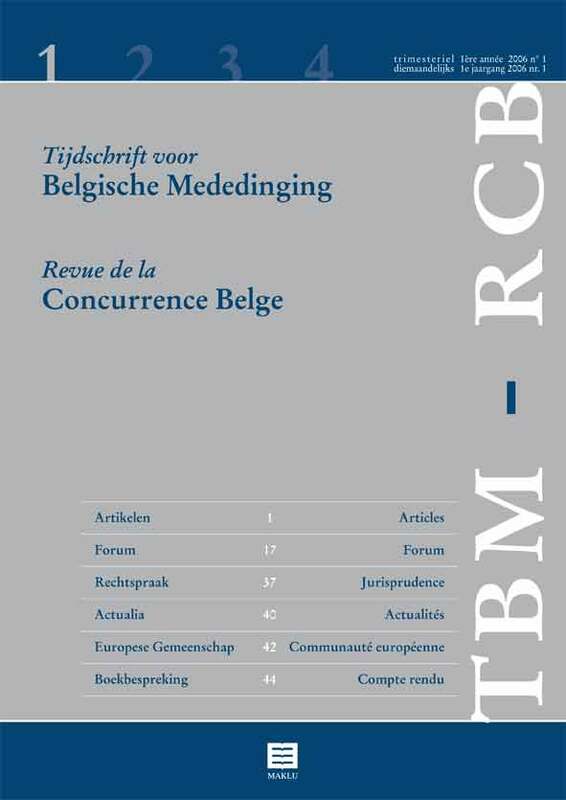 As a Belgian magazine TBM-RCB contains contributions in Dutch and French. Each item is preceded by a summary in the other language. If helpfull, contributions in English are included. The Cahiers police studies is a quarterly series that focuses on high quality contributions on police issues and phenomena that are of interest to the police. 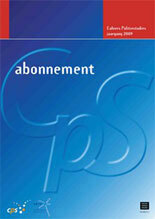 The Cahiers police studies appear per trimester (4 theme issues annually). An annual subscription costs € 115.00 (plus shipping). A subscription can be terminated each year before December 1st of the current year. The onset of the series is multidisciplinary, with a prominent role for criminology next to other disciplines. In this series, Dutch and English-language titles are published. The series has an international editorial board, which watches over the quality of the submitted manuscripts thanks to an international double blind peer review procedure. The board develops proactive policies regarding the compilation of thematic volumes. To this end, Belgian and Dutch guest editors are asked for a contribution.